As a mother, all I could see was my son. But as a pediatric ICU nurse, I could also tell how bad it really was, even before the doctor told me Hunter wouldn’t make it. When I heard that Hunter had registered as a donor when he turned 18, it wasn’t surprising because he was always helping other people. We stayed with him through the storms that delayed the organ recovery teams and then said our final goodbyes. It was that Friday evening when I got the call that told me Hunter’s heart was now beating in the recipient’s chest. I was flooded with emotions, to know that he was living on in others. It seemed to be the only “right” amid all the “wrong” that had happened the day of the accident. Since then, I’ve received letters from recipients of Hunter’s kidneys and liver who are both doing well. His pancreas has gone for research toward a cure for Type 1 diabetes. And, just before Christmas, I heard from the man who received Hunter’s heart. It’s still so hard. Even a small thing can take me right back to that day. But, I continue to live each day to the fullest and give thanks to God. 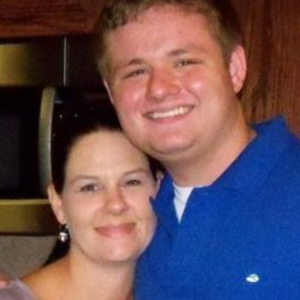 It is because of people like my son Hunter, who selflessly chose to “Donate Life,” so that others may live on.